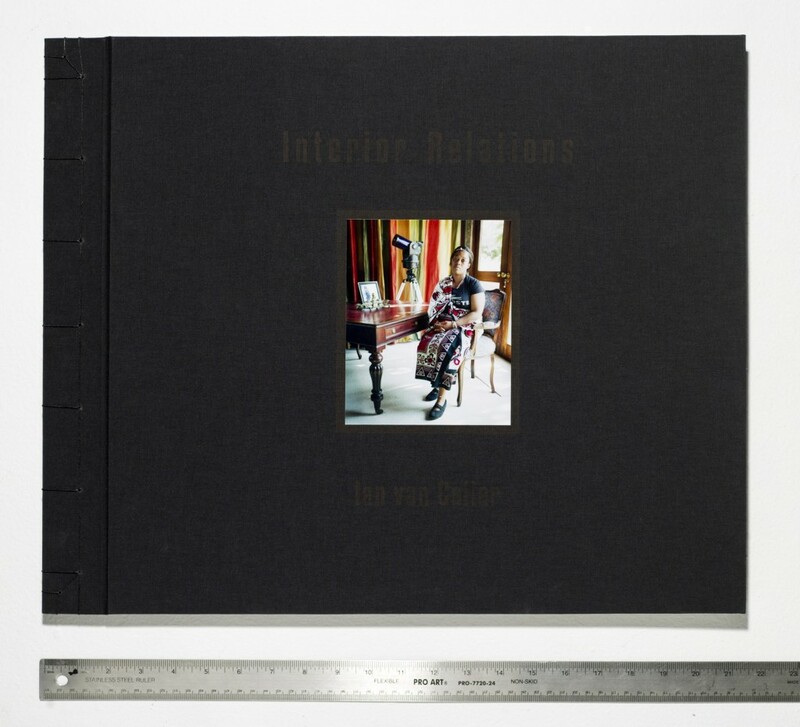 This list below features a diverse and international selection of self-published and indie published photobooks from 2011 that are part of the Indie Photobook Library. 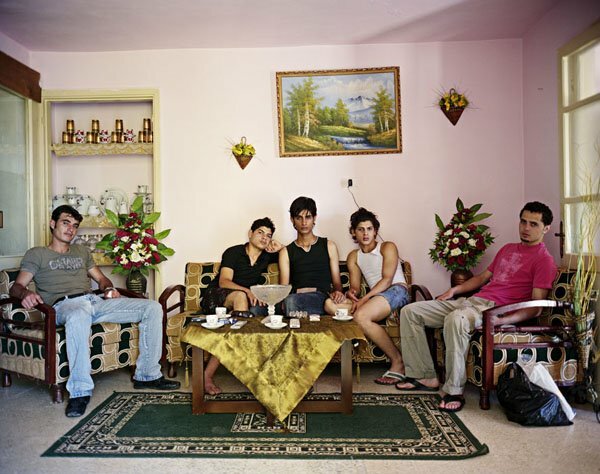 My nomination for Best Book of 2011 for TIME Magazine is Iraq Perspectives by Ben Lowy. 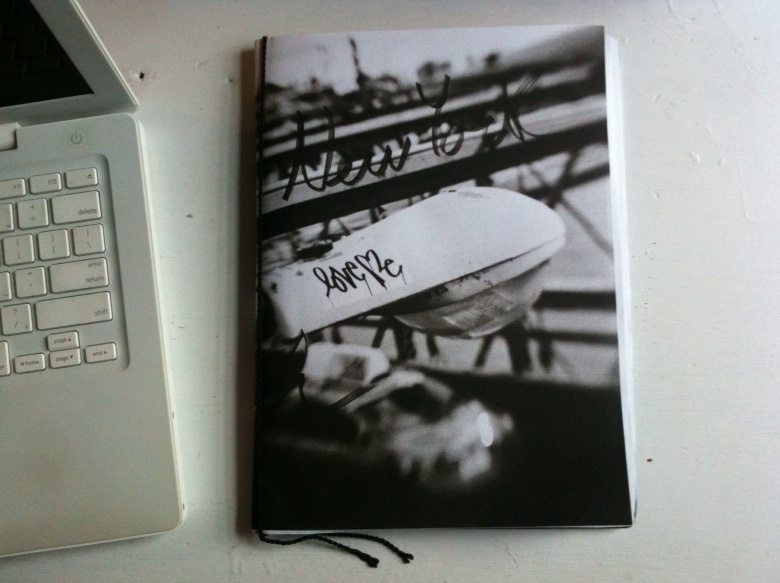 My list for photo-eye this year celebrated self-, indie, small and traditional publishers and will be published here. 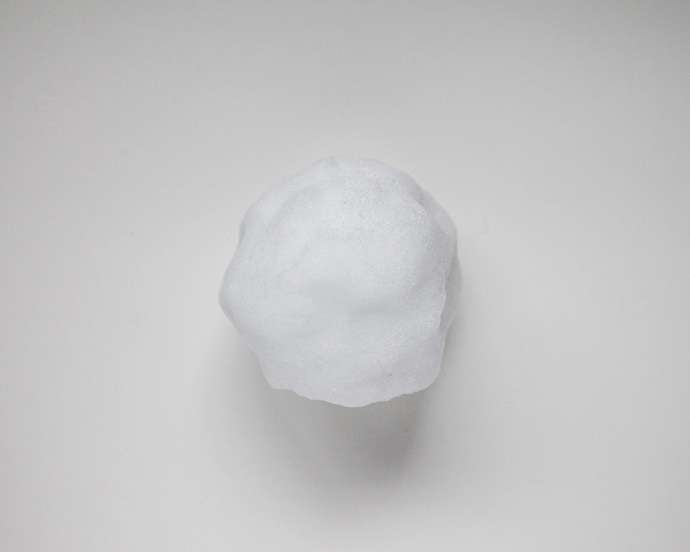 Once again Paula McCartney plays with our perception of what is real and what has been constructed to look real in her newest body of work about snow and ice. For fans of McCartney’s work that can’t afford her more expensive artist books, this edition – a mix of handcrafted and professionally printed – is the perfect beginning. Wolberger explores authorship and control in surveillance photography – turning the dynamic of photographer versus subject and observer versus observed on its head. The beauty of this book is the subtlety in the face of the red stripe that runs down the gutter, deceivingly and blatantly marking the secret – brilliantly fabricated book spreads. Canadian photographer Jessica Auer takes us on a quiet journey through historical sites of Newfoundland and Labrador in this very polished travelogue. The beautiful color landscape photographs of treeless tundra, rocky cliffs overlooking the ocean, and small communities nestled in coves are interspersed with short journal-like entries. What led people to these places and what leads us there now? 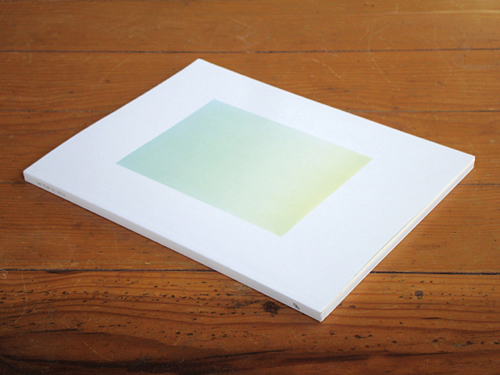 This title pushes the boundaries of what a photobook can be – fifty 3×2 inch individual cards, a storage box and a miniature stand constitute this “photobook” by Laura Noel. The photographs are stills from Law & Order, one of the longest-running crime shows on American primetime TV. These frozen scenes captured off the television during times of insomnia are printed onto cards through the print-on-demand service Moo. For me, successful print-on-demand books often come when the result from the company is only the start of the final piece. Noel uses what is available but puts her artistic stamp on it. Interact with the piece and create your own rotating exhibition of Law & Order images by displaying them on the included stand. “It would be good to put a title here”? 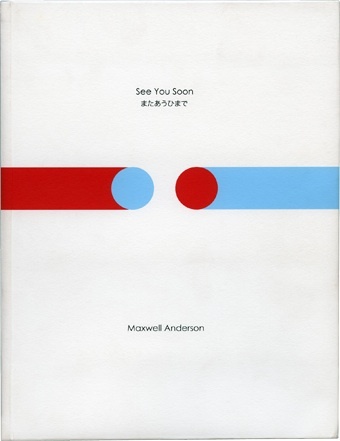 is the English translation for the title of this book. The photographs within are an opaque narrative mixed and matched from Yruela’s photographic projects that come together in book form as a stream of consciousness and exploration of the photographer’s being, awareness, friends, environment, and life. They exude a youthful freedom that most born before the early 1980s no longer have. I was introduced to the publishing trio of PPP (Preston is my Paris Publishing) through the bibliophile and co-author of The Photobook: A History, Gerry Badger. In the self-publishing and indie imprint world, word of mouth among colleagues is one of the few ways to find out about some of these titles. And with some titles, by the time you hear about them, they are all sold out. PPP’s zines and newsprints are a bargain and they all encapsulate the spirit of DIY. Derby chronicles one weekend in this town in England. No text, just photographs – a woman smoking a cigarette, a busy store parking lot, a marching band, portraits of locals, people crossing the street. A whole lot of nothing in particular, but the publication successfully portrays a place, creates interest in the mundane, and is a smart use of materials that strengthens their artistic idea. Christopher Colville utilizes alternative photographic processes in a fresh and contemporary way. This exquisite two-book set contains four unique but interconnected bodies of work about ancestry, ritual, and a connection to the landscape. 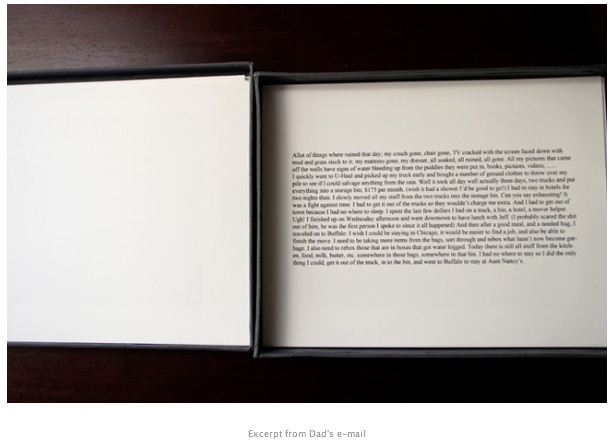 Each is a double-sided accordian-folded photobook with cloth-covered book board attached to the beginning and the end, so as you finish one series and close the book, the back cover becomes the beginning of the next. As day fades into night and dark back into light, this immutable cycle and passage of time parallels the continuous reading of this book and speaks to a much broader human connection to history and place and the people who have been there before us and after. 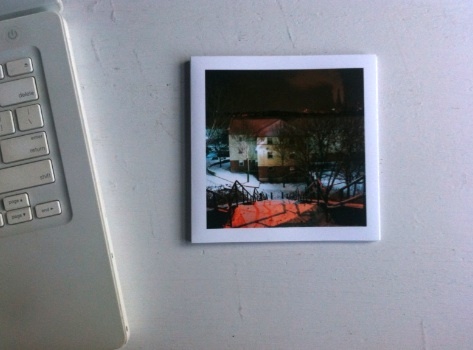 Book craft and quality in the Netherlands is hard to match and Playground by Dutch photographer Jeroen Hofman is a great example from this year of what can be done. The photographs: color landscape work of the training grounds for emergency personnel and military as seen from atop a cherry-picker. The book: hard cover, two different page sizes, great design, green text, and the dust jacket turns into a poster. Every detail is thought through. Rochowski’s seemingly other-worldly landscapes are devoid of people but there is a sensed presence whether from an alter reality or from ancient lore. There is also the sense that something is about to occur or of something having already taken place and the viewer is left with the afterglow. The photographs conjure up our childhood fears of being alone in the forest at twilight and take hold of our imagination. I see this book as a poem in photographs by Rebekka Seubert of the water’s edge in winter. 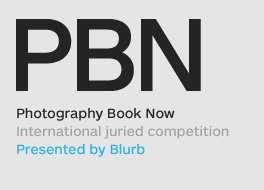 The deadline for this year’s Blurb Photography Book Now is July 14, 2011 and I am looking forward to meeting in New York at the end of the summer with this year’s panel of judges to spend the day looking at books for the competition. I’d like to thank Darius Himes and Blurb for inviting me to be a judge this year. And I would like to thank Rebecca Drobis, a Washington, D.C. photographer and recently chosen as one of PDN’s 30 2011, for my professional headshot. 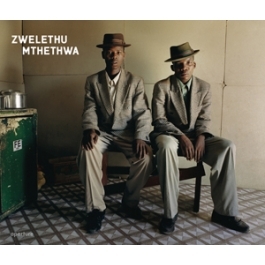 The Photography Book Now competition celebrates self-publishing and awards a $25,000 cash prize for the winning book. 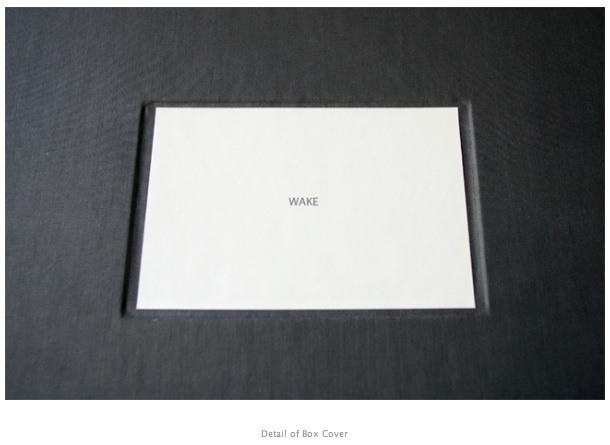 Many people wrongly assume that the competition is limited to only Blurb books. The competition is open to ALL self-published books. I encourage you to submit your handmade books. Darius Himes discusses the competition here. 1. 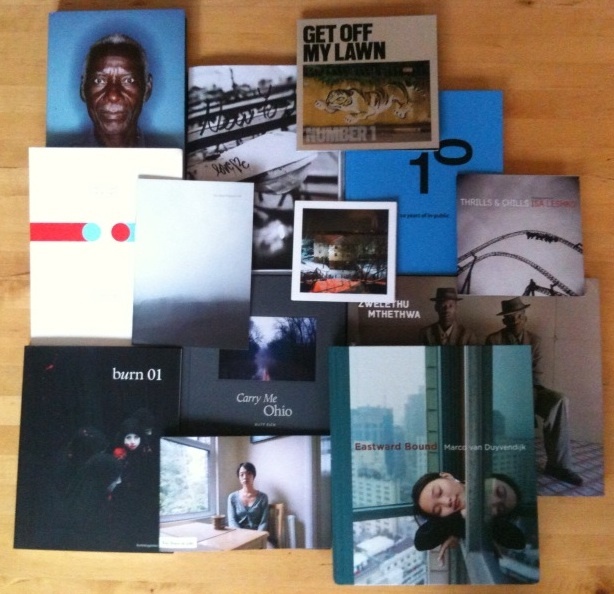 Please describe what makes a great successful photobook to you. LL: Aesthetically speaking, a successful photobook is one in which all of the pieces make sense together. 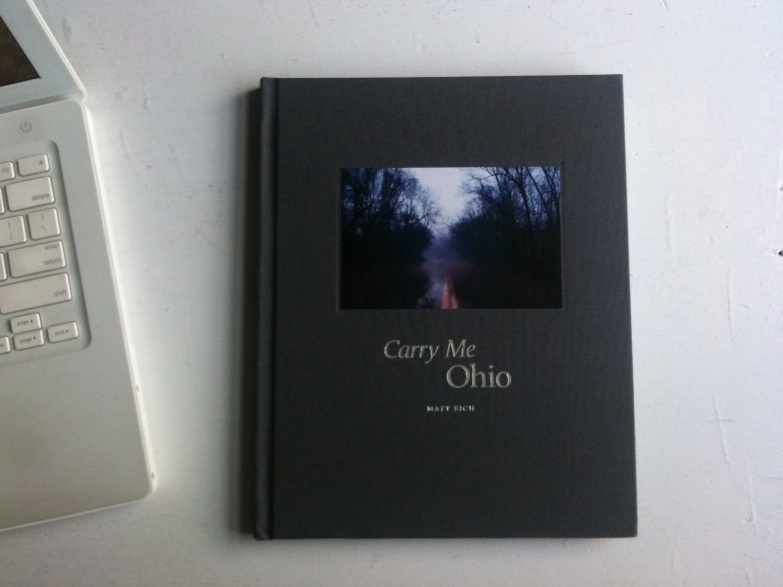 It should be more than just a book of photographs. And for me these books are objects in and of themselves and I see them as collectible works of art. 2. 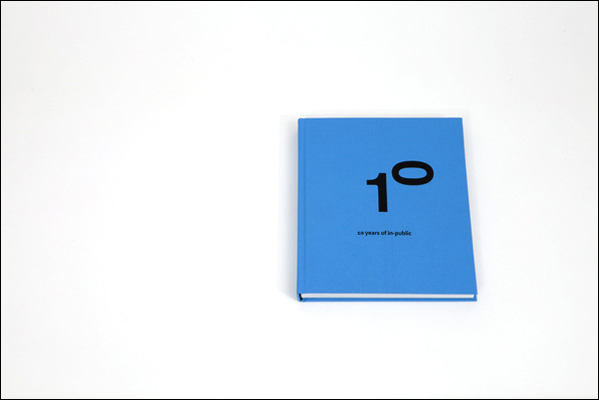 Do you have any advice for photographers working on book projects? LL: Make it a creative expression of the photographic project and yourself. Be realistic about the print run for your book. Think about the life of the book once it is created. Make sure a copy exists in at least one public collection. 3. 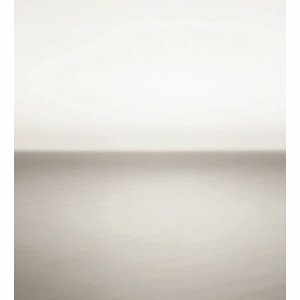 What is a favorite photobook that you own or have seen from the last few years? LL: That is a difficult question. I have trouble narrowing down my favorites every year to under twenty. 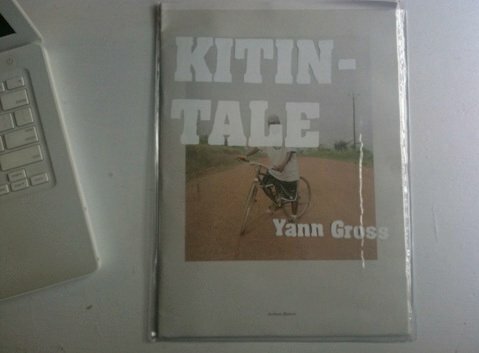 Two books that immediately come to mind though are – for creativity and use of materials: Kitintale by Yann Gross which I nominated for the 4th International Photobook Award 2011 – and for content and form: Fifty-One Years by David Goldblatt (Actar). The Goldblatt photobook is a small reference book that provides an indepth overview of Goldblatt’s work and includes his early “On the Mines” series. 4. What is the most exciting aspect of the photography scene right now? LL: Obviously I am excited about the self-published and indie published photobook scene right now. 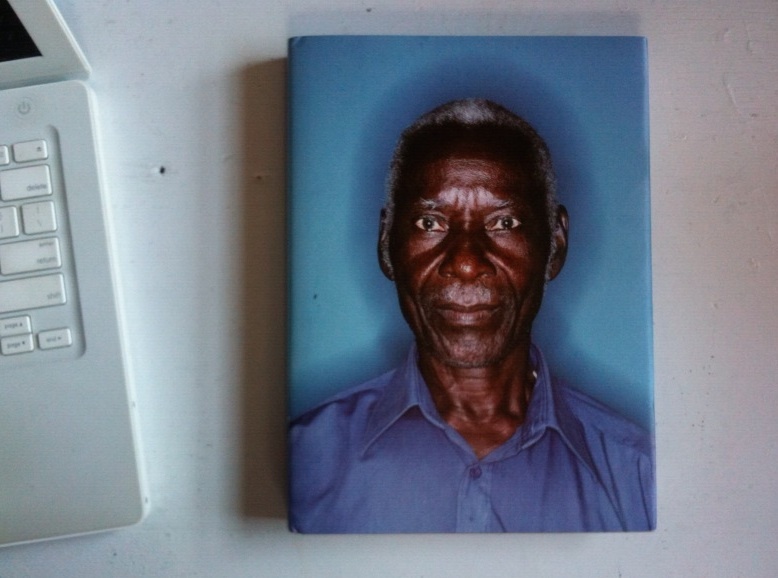 Whether you use Blurb or not to make your photobook, they have revolutionized our way of thinking in regards to traditional book publishing, and I look forward to seeing this germinate in photo communities that have yet to really explore the platform of the photobook. 5. 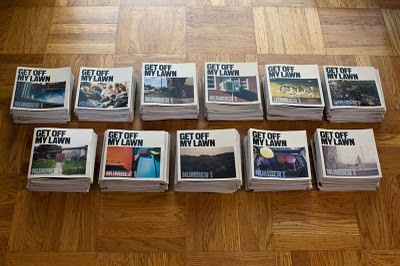 You have a wonderful blog post listing your favorite self-published photography books for 2010. We know it’s still early but do you have any that you think will make your list for 2011? LL: Thank you. It is still early for me yet and at the moment my thoughts are on my list of photobooks for the Indie Photobook Library’s first feature-length exhibition at the Photographic Resource Center in Boston which opens in September. I will mention, however, the book Svalbard by Greg White and Firework Studies by Pierre Le Hors (Hassla) – two books from 2010 but ones that I just saw this year. 6. 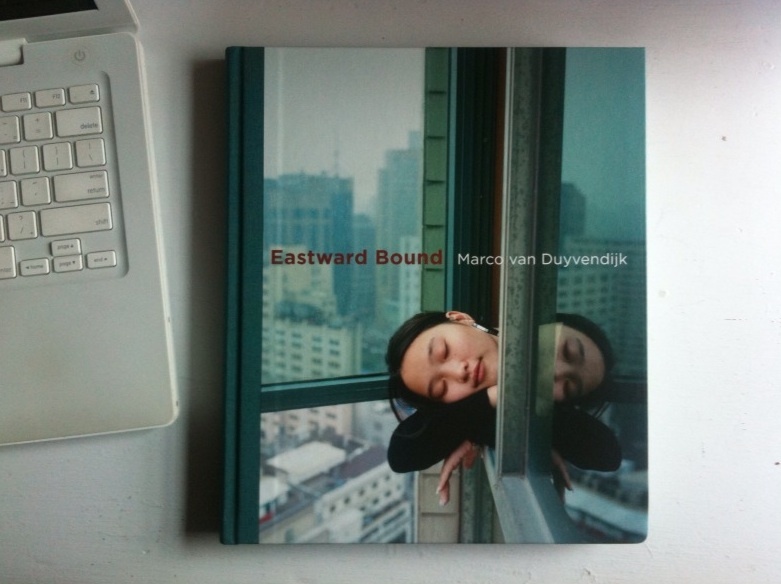 What do the most compelling/most memorable photography books have in common? LL: The most memorable books are the ones in which I forget about myself for a moment, lose track of my surroundings, and enter into the reality in the photographs. And from that response, it may seem that the book form is of no importance, but it is. The form and materials should aid in experiencing the work. 7. What photography blogs do you like/follow? LL: I get all my news through facebook and twitter and follow hundreds of different people and organizations that way. 8. Is there anything we didn’t ask you that you think would be helpful or informative to anyone entered in or thinking of entering Photography Book Now 2011? LL: If you are making a Blurb book, don’t forget about the spine. Good luck to everyone entering PBN 2011! 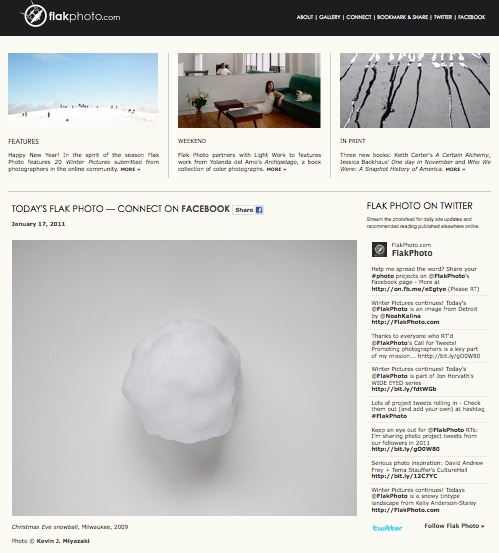 “100 Portraits – 100 Photographers: Selections from the FlakPhoto.com Archive” will be screened at Snap! Orlando this weekend at the GAI Building, 618 E. South St, Orlando, Florida. Andy Adams and I will be lecturing about 100 PORTRAITS on Saturday, May 7, 2011 from 4-5pm at the UCF Center for Emerging Media. 500 W. Livingston St, Orlando, Florida. 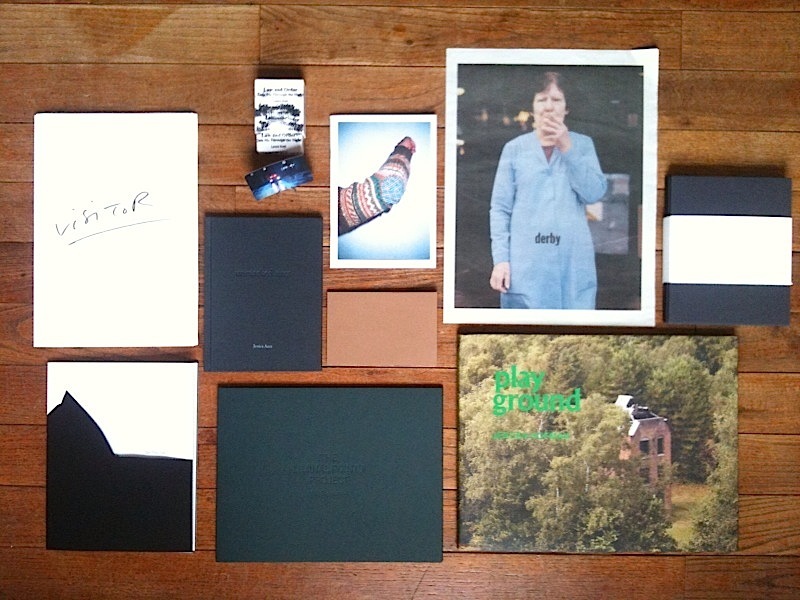 The Indie Photobook Library is also part of Snap! 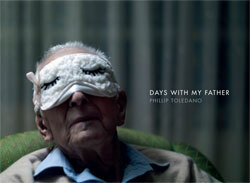 Orlando with a pop-up exhibition of photobooks from the collection. 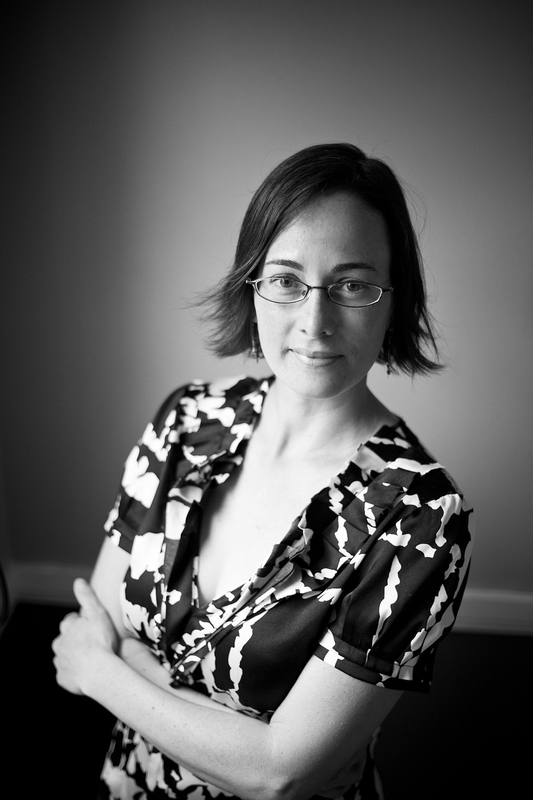 The iPL is pleased to have E. Brady Robinson, Associate Professor, UCF School of Visual Arts and Design, and Heather Comparetto, photographer and curator, curate the pop-exhibition of photobooks for Snap! Orlando. Roughly fifty titles will be on display during the event, allowing visitors to explore and celebrate the diversity, craft, and creativity in self-publishing today. See the list of books on display here. Alley, 2007 Â© George Awde. Courtesy of the Artist. Thank you George for your work and I look forward to following your career. It was an honor to share my list of photobooks that made an impression this year for photo-eye‘s “Best Books of 2010.” For their list I intentionally wanted to highlight mostly self-published titles that had passed by my desk on their way to the Indie Photobook Library. Ten was just too limiting a number for me, and because I focused on self-published titles, I ended up omitting my favorite traditional trade publications. 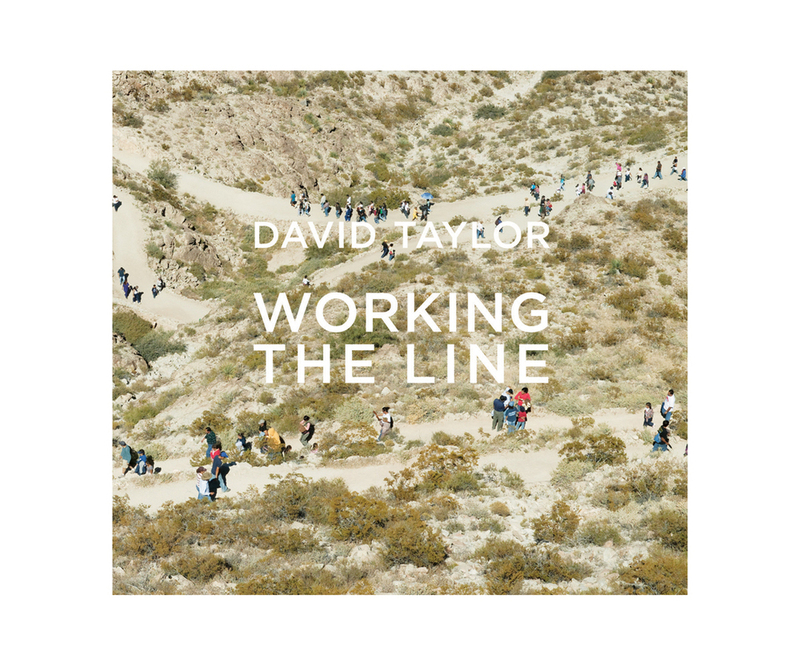 So here is the extended list (in no particular order) that includes everything from artist books, zines, self-published and indie published photobooks, to trade editions. 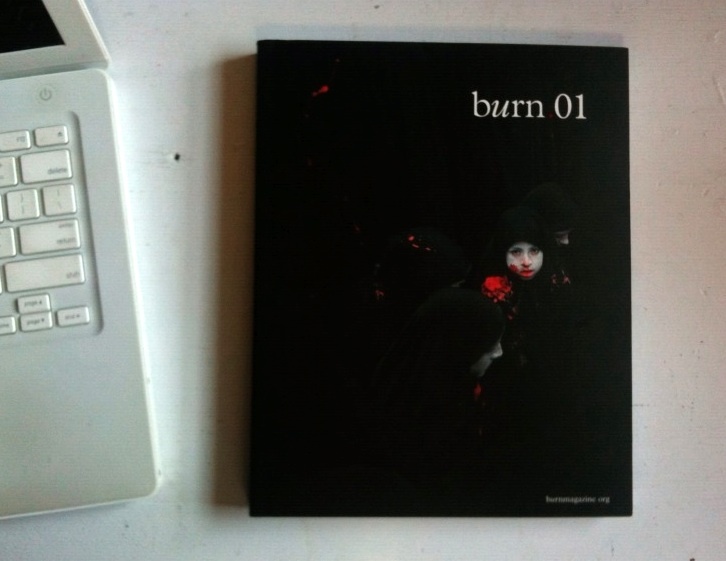 Books marked with an * can be found in the Indie Photobook Library. Click on the * to take you to the iPL catalog record for each book. 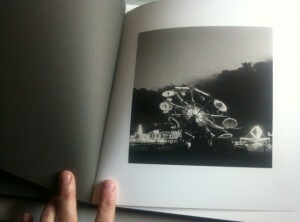 If you cannot find a way to purchase books through the photographers’ websites or book sites, visit photoeye.com. 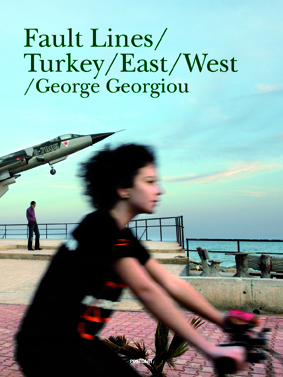 The first ten books listed above were part of Photo-Eye’s “Best Books of 2010″. 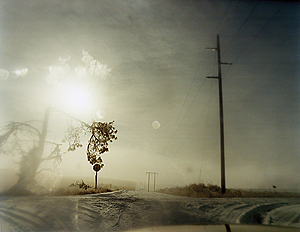 The image above by Isa Leshko from her “Thrills & Chills” series reminds me of the image by Robert Adams that begins his revised and expanded edition of “Summer Nights, Walking.” I originally saw Adams’ image in the exhibition “In the Darkroom” at the National Gallery of Art and sought out his book just for that one image. I had hoped for more of the same, but for those who know this series, the amusement ride image seems an outlier. For Leshko, though, these rides are the focus. 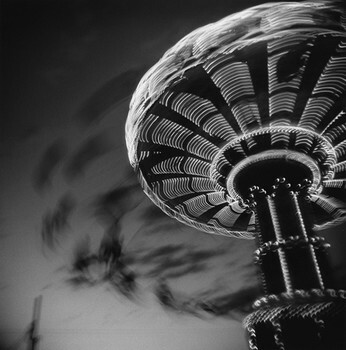 About this work Leshko writes, “[a]musement park rides terrify me, which is why I began photographing them. I am fascinated by what compels people to surrender themselves to these mechanical beasts. The rides seem to challenge the very limitations of being human. We canâ€™t fly; yet these vertigo-inducing machines allow us to soar through the open air. 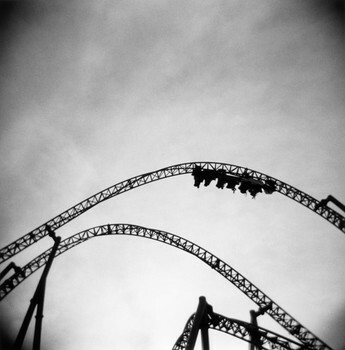 The experience combines elation with fear; thrills with chills. 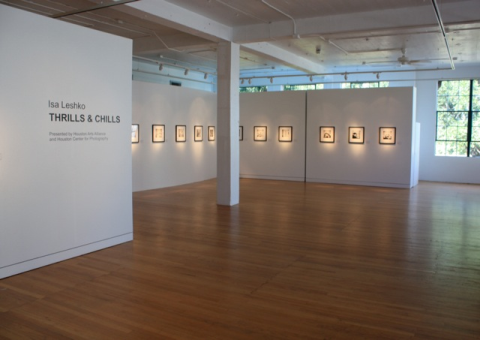 To see more work from “Thrills & Chills” visit Leshko’s website as well as the John Cleary Gallery. 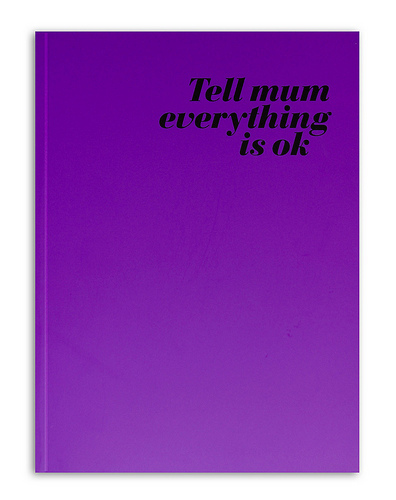 There is also a collectible little limited edition book available of this work. Open weekdays, 9 a.m.-1 p.m. and 2-4 p.m.
“Object and Places” closes on Friday, December 17 with a reception from 3-5pm. 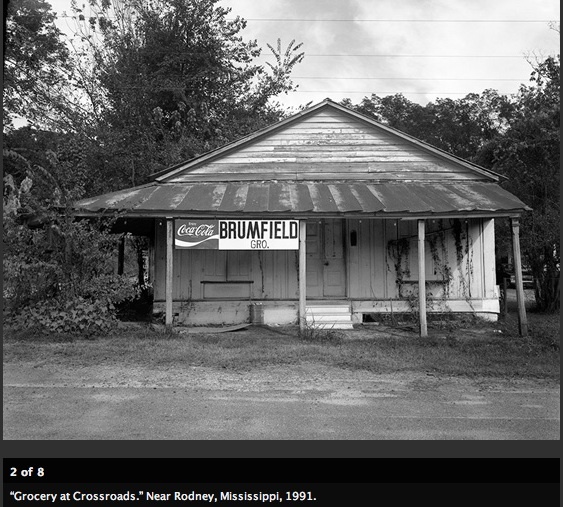 “Black-and-white images of diverse scenes in America â€” ranging from a Mississippi “ghost” town to rooftops in Pennsylvania to an upper New York state racetrack â€” are featured in a new exhibition of photographs by Yale professor Alan Trachtenberg at the Henry Koerner Center for Emeritus Faculty. The exhibit, titled “Objects and Places,” is a selection of 22 photographs that Trachtenberg made over the past 30 years using a large-format (8×10) camera.” – excerpt from the Yale Daily Bulletin. Pleased to be a transatlantic friend of #PHONAR this semester; Jonathan Worth’s free and open undergraduate photography class live at Coventry University in the UK and online at http://phonar.covmedia.co.uk/. Read more about it here. Lots of great nuggets of thought by guest contributors including Simon Roberts, Wayne Ford, Pete Brook, and Chris Floyd, plus podcasts from visiting speakers, and #phonar followers contributions. Inspired by Wayne Ford’s suggestions of books on Photography and Narrative, Worth has compiled the FRIENDS OF PHONAR PHOTOBOOK LIST of “notable/ inspiring/ seminal/ provocative photobooks, in itâ€™s narrative structure/approach or perhaps in itâ€™s â€˜discussionâ€™ of narrative.” Books on the list were nominated by Alec Soth, Andy Adams, Cory Doctorow, Daniel Meadows, David Campbell, Edmund Clark, Fred Ritchin, Geoff Dyer, Gilles Peress, Grant Scott, Harry Hardie, Jeff Brouws, Joel Meyerowitz, John Edwin Mason, Jonathan Shaw, Jonathan Worth, Ken Schles, Larissa Leclair, Ludwig Haskins, Matt Johnston, Michael Hallett, Miki Johnson, Mikko Takkunen, Nathalie Belayche, Peter Dench, Pete Brook, Sean Oâ€™Hagan, Simon Roberts, Stephen Mayes, Steve Pyke, and Todd Hido. Check out the list. What a great way to end the semester. 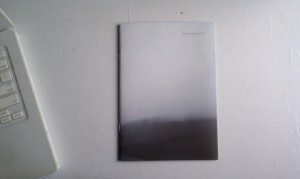 My selections include Intensive Care by Andrea Stultiens (2010) and Thinner Air by John Mann (2010). 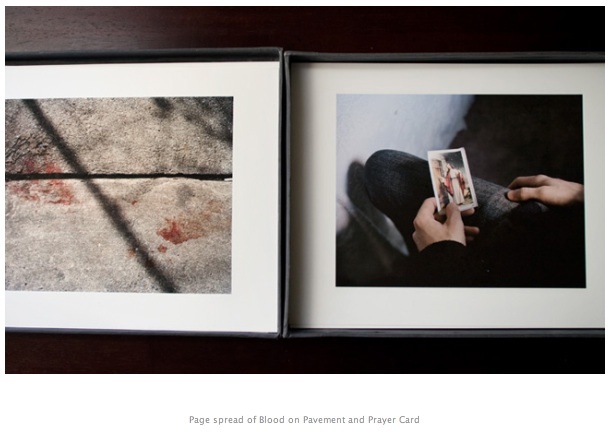 Continue on with Worth and his students next semester with “Picturing the Body” (#picbod) and the Photobook Club. I look forward to following along.